evo pays or threatens, just to remain in power! After the 2016 referendum, Bolivian population, by majority, decided there could be no more re-re-re-nominations for the coca grower caudillo. He turned into a delusional egomaniac and has wasted our resources, made us fight among each other and in the process has not generated a single sustainable job nor has he captured real foreign investment. 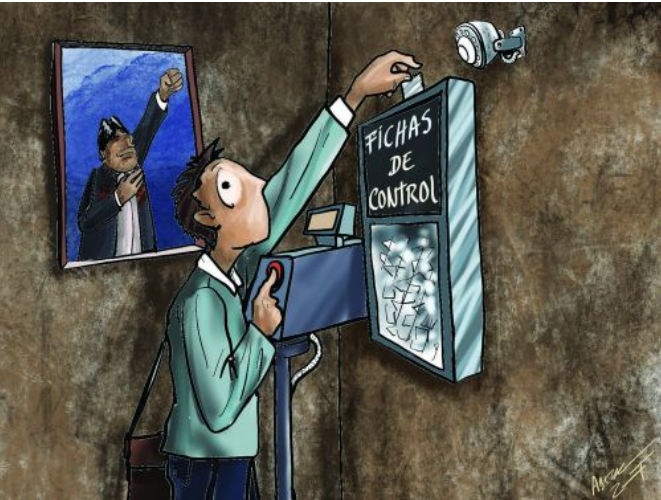 Yet, he has absolute control of ALL State powers and as such orders marches to reflect “support” for him … this cartoon from Pagina Siete 11/08/2017.